zCover is a pioneer and trend-setter in the fashionable silicone products market. 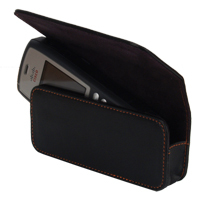 zCover® iSAglove armband set is the winner of Macworld Awards 2008 Best iPhone Accessory. zCover® iSA silicone cases and accessories have been nominated as Best iPod Accessory by Macworld Awards in 2006 and 2007. zCover products are available at Apple retail stores, Best Buy Canada, J&R and other electronic stores. ZCover is presently seeking partnerships with resellers to distribute zCover products worldwide.